An argument over a missing drill has led to a Louth man’s appearance in court for assaulting his wife of 13 years and resisting the police. 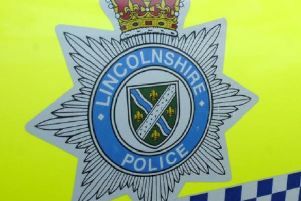 Robin Neil Endean, 50, of Wallis Road, admitted assaulting Kelli Endean and to resisting PC Chafer in the execution of his duty on August 14, when he appeared before Skegness Magistrates’ Court. Daniel Pietryka, prosecuting, told the magistrates that Endean’s step daughter telephoned the police because of the argument Endean was having with his wife with a lot of shouting and swearing. He said she was left with scratches on her eye lid and right hand and that when police arrived, they had had to pepper spray Endean as he would not comply with their instructions. Mr Pietryka said that when Endean was interviewed he admitted that there were ‘regular arguments’ and that he had gone ‘in her face’. Endean said his wife had fallen against a dresser during the argument and that the scratches had been caused when he had tried to stop her falling. Mitigating, Lauren Fisher said Endean accepted he had shouted and sworn at her in her personal space in the argument over the missing drill. She said that Endean did have mental health issues. The magistrates adjourned for sentence on October 27 and called for a pre-sentence report from the Probation Service.